A win for the Edward Snowden documentary is a win for democracy. Last year at the Oscars, I thought The Act of Killing, Joshua Oppenheimer’s innovative examination of mass killings in Indonesia during the 1960s, deserved to win for best feature documentary. Instead, the Academy gave the award to to a film with broader appeal, 20 Feet From Stardom, a review of life as a background singer on pop records. 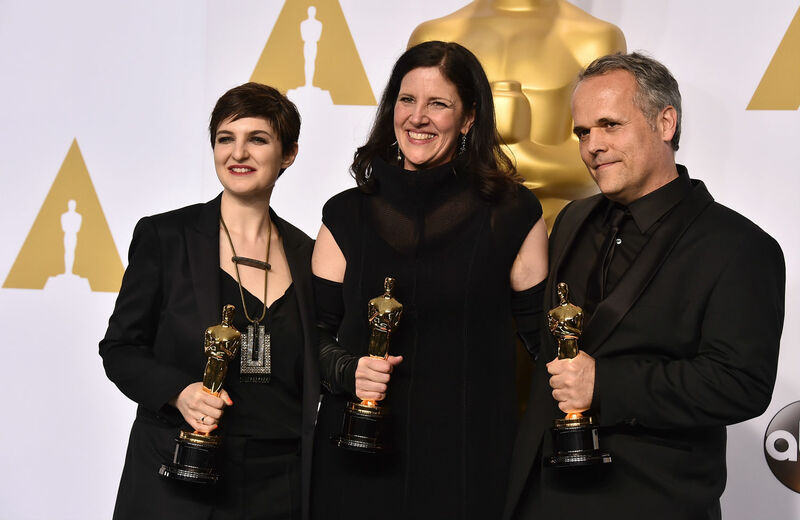 At the time, a friend quipped, “20 Feet From Politics.” This year, however, the Academy didn’t shy away from awarding a nakedly political film: Laura Poitras’s Citizenfour, a stunning vérité account of the initial reporting on Edward Snowden’s leak of secret material about the National Security Agency, took home the biggest documentary prize of the year. In the course of the documentary, Poitras travels to Hong Kong with Glenn Greenwald to meet Snowden, who explains on camera who he is and what he is handing over to the journalists: a trove of documents detailing worldwide spying operations of the NSA and its partners. The challenge of exposing such information seems considerable, but Snowden handles it with an ease that betrays his intelligence and determination; he remains his own best spokesman. And that’s why more people, even if just a few at a time, need to see the film, something the Oscar win is sure to help accomplish. Weapons aren’t always deployed, but we should all worry about the potential power they can unleash when they are. That’s what makes Snowden’s revelations so significant, and so essential for our democracy. If an Oscar win brings more attention to the film and the warning Snowden persuasively delivers in it, all the better.